Back pain is so common that you’ve probably experienced it for yourself – or you will at some point in your life, since over 85% of adults do. In fact, back pain is the second most common pain ailment – only headaches occur more often. Back pain, like any pain, is a communication that something isn’t quite right. You need to feel pain in certain situations, to alert you to problems that may become more severe if left untreated. But back pain, particularly when it becomes chronic, can be very disruptive to your daily routines, work activities, and recreational pursuits. Back pain is a top reason for missing work, and a leading cause of disability claims. It’s also quite a drain on resources. Americans spend around $50 billion per year on treatments due to back pain – and often these treatments offer only temporary relief, if any at all. Pulsed Electromagnetic Field (PEMF) therapy is a safe, non-invasive treatment option for both acute and chronic back pain. Because surgical procedures can actually cause more harm than good, they should be seen as a last resort in managing back pain. PEMF therapy, on the other hand, should be considered as an early intervention. Acute back pain comes on quickly, and resolves in a few days or weeks. Most often caused by injury, this acute pain serves a purpose – to communicate that you’ve done something your body can’t accommodate, and to signal that you need rest. Acute pain is part of a healthy healing process. The injured area responds appropriately by becoming inflamed, thus protecting the area from further damage as you recover. To prompt this inflammatory response, your body is sending a message to your brain, mostly in the limbic system where emotions live. The emotional response to this pain is intense, but gradually diminishes as healing occurs. The pain that results from this response helps you take the steps you need to heal. But what happens when healing doesn’t proceed optimally? When inflammation lingers day after day, week after week, the resulting pain can move your limbic system from that initial emotional reaction to a state of constant emotional suffering. When back pain lasts for three months or more, it’s known as chronic pain. Up to 10% of adults dealing with back pain end up with chronic back pain. Chronic pain is more debilitating than acute pain, since the impact on daily life is long term. Treatment options often become more expensive, more complicated, less effective and riskier. Chronic back pain can have a serious impact on quality of life. Anxiety, depression, sleeping and eating disorders, immune suppression and other debilitating health issues can occur when dealing with chronic pain. The emotional suffering, in particular, can last even when pain intensity is reduced by treatment. Changes in the brain can mean that even minor pain signals are perceived as more severe. Treatments that target the cortical-limbic brain circuit, then, can be critical to controlling chronic pain. That’s why PEMFs for back pain are so effective. Acute back pain is short-term, lasting anywhere from a few days to a few weeks. It’s typically the result of trauma or a specific disorder such as arthritis. Trauma, such as a sports injury, work accident, or sudden jolt to the body that stresses the spine, can cause symptoms of varying intensity. Muscle aches, stabbing or shooting pain, limited mobility, and limited flexibility are all potential symptoms of this trauma. Disc problems are another source of back pain, particularly when the disc ruptures (also known as a herniated disc). The pressure that a ruptured disc can put on any one of more than 50 nerves rooted to the spinal cord sends out the pain signal to the brain. Disc problems aren’t always easy to see, so they can be difficult to diagnose. But under a microscope, tiny changes to discs can be detected. These changes can start very early in life, leading to chronic pain and back problems as you age. Other common causes of back pain include viruses, osteoporosis, congenital abnormalities, natural degeneration of the spine, sciatica, spinal stenosis, and fibromyalgia, among other things. With so many options, the source of back pain isn’t always obvious, but the pain should never be ignored. But treatments can be expensive, ineffective, and sometimes even dangerous. Some of the most common treatments for back pain – ice and heat, rest, and medications can be effective for acute pain conditions. Unfortunately, these methods are not as useful for the long term management of chronic pain. Alternative treatments like massage, chiropractic manipulations and acupuncture aren’t always practical as long term solutions, since they can be quite costly, and often insurance companies won’t pay for them. And while these treatment options can temporarily relieve inflammation and pain, they won’t heal the underlying condition at the root of the pain. Doctors can only suggest solutions that they know, and most are taught that the best solutions involve either medication or surgery. But these treatments carry considerable risks. Medication can lead to serious side effects and addiction. Back surgery is invasive and risky, and should only be used as a last resort. With tumors, cysts and cancer, surgery is the right choice. Nerve compression is another condition that may require surgery as a treatment. When none of those conditions is present, the risks of surgery – including failed back syndrome, which is a disaster – are larger than the benefits. PEMFs are a low cost, non-invasive, convenient and safe method to try first. 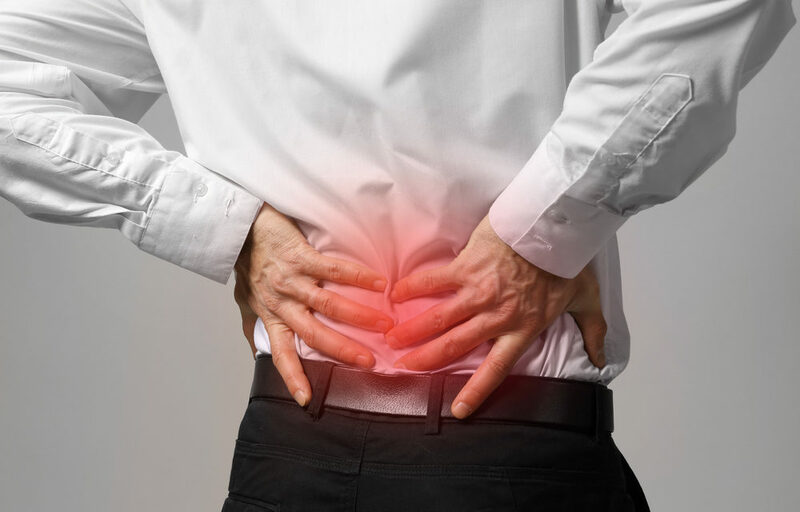 Many of my patients who have used PEMFs for back pain – even those who have had multiple procedures that offered no relief – have found that they are better able to tolerate pain, even when it’s not fully alleviated by the treatment. PEMF therapy sends pulsed energy waves to targeted areas of a patient’s body. These waves move through cells in damaged regions stimulating healing in those cells. PEMF therapy can also be used to target pain response centers in the brain, helping to regulate brain function. Brain research has shown that PEMFs are safe and effective to use across the brain at all levels of intensity. PEMF machines can be used both in a clinical setting and at home. PEMFs repair tissue in the brain and adjust brain frequency functions, helping calm inflamed and overactive brain function. PEMF machines can be used to target back pain, whatever the source. Because chronic back pain can occur when the brain receives the wrong signals from nerve cells, targeting the brain with PEMF systems, should almost always be included and can be very effective in treating this pain. I have paid close attention to the research around the effectiveness of PEMF therapy. Many studies have shown that PEMFs are an effective pain management tool. Two prospective randomized studies found that PEMFS have considerable and significant potential for reducing pain in subjects with lumbar radiculopathy and whiplash syndrome. A total of 100 patients with lumbar radiculopathy and 92 with whiplash syndrome were studied. Patients with prolapsed intervertebral discs, systemic neurological diseases, epilepsy and pregnancy were excluded. In one group, patients received the standard medications diclofenac and tizanidine and magnetic field treatment twice a day for two weeks. The other group received only medications. With the magnetic field treatment, patients suffering from lumbar radiculopathy had pain relief and painless walking an average of four days earlier (average 8 days as compared to 12 for the control group). Patients with whiplash syndrome were assessed for pain on a ten point scale. In patients receiving magnetic field treatment, pain dropped at the following average rates: Head, 4.6 to 2.1 after treatment; neck, 6.3 to 1.9; and shoulder/arm 2.4 to 0.8. For those in the control group head pain went from average of 4.2 to 3.5 after treatment; neck pain from 5.3 to 4.6; and shoulder/arm pain from 2.8 to 2.2. Another randomized controlled clinical trial evaluated the impact of a PEMF system in managing pain caused by discogenic lumbar radiculopathy. In this condition, the nerve root is affected, resulting in pain that can radiate to other areas of the body. In this study, 40 patients were randomly assigned to either a group that received PEMF therapy or a control group that received placebo treatment. Both groups were assessed at baseline and again three weeks later, using a ten-point visual analogue pain scale (VAS), objective electrical somatosensory evoked potentials (SSEPs), and a questionnaire using a Modified Oswestry Low Back Pain Disability scale (OSW). The assessments showed significant differences between the groups relative to overall pain. Oswestry Low Back Pain, personal care, lifting, walking, sitting, sleeping, social life and employment all saw improvement. Additionally, objective measures of improvements in tissue pain related brain sensations could easily be seen in the data. The authors concluded that PEMF therapy is an effective method for the conservative treatment of many forms of back pain. I have had some gratifying success using PEMFs for back pain with my patients, especially when they’ve been told there was nothing more that could be done. One patient, who had to drive almost an hour each way to work, had a disc problem that was inoperable. Just getting to work left him in excruciating pain. I recommended a portable PEMF system where the coils were placed on his lower back. He felt incredible relief during his first treatment in my medical office, and began using it several hours per day, including during his commute. Several weeks later, he told me he could drive with almost no pain at all. He could work for hours without significant pain. He had his life back! That’s just one success story – I’ve seen it time and again since I began using PEMFs for pain. Before I learned as much as I could about the benefits of magnetic therapies, I was frustrated with the options available. Too many times, I saw the dire consequences of rushing into surgical solutions or taking medications. I knew there had to be a better way – and I found it! 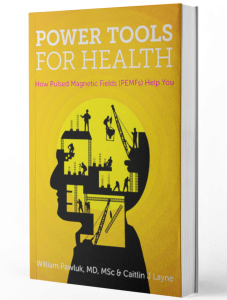 It took me many years in practice to discover the power of magnetic therapy, but you don’t have to wait that long! I’ve seen results – and you can too. If you have questions on using PEMFs for back pain, call our office to speak to a member of my team. We can help you find the product that best suits your health needs and budget. There’s no need to wait. Take control of your own back pain management today! NextHow Does PEMF Therapy Reduce Pain?